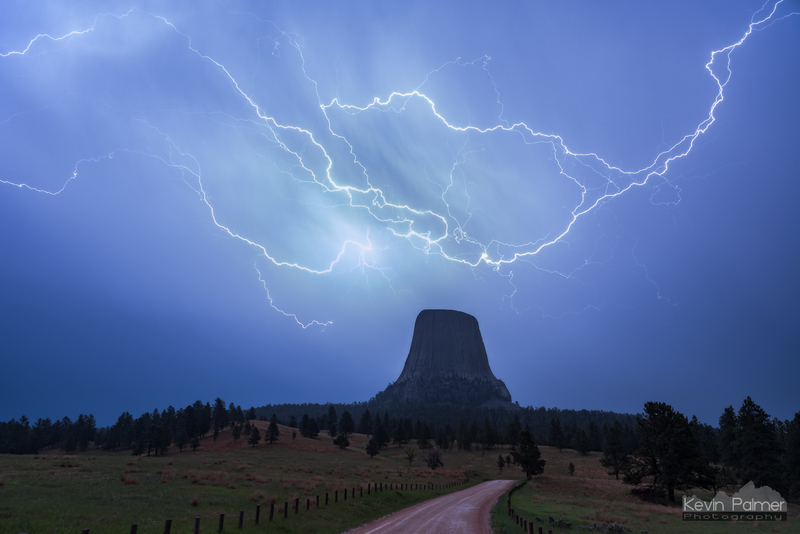 With severe thunderstorms in the forecast, I headed to Devil's Tower. The daytime shots didn't pan out with the storms going too far north. But when I returned at night, new cells had popped up and were producing infrequent lightning. It was a challenge to stay dry and get the exposure right. But during a short break in the rain, this bolt filled the sky, perfectly placed above the tower. I was ecstatic.